Harry Redknapp has spent much of the week bemoaning the controversial refereeing decisions that saw his side lose at Stoke. 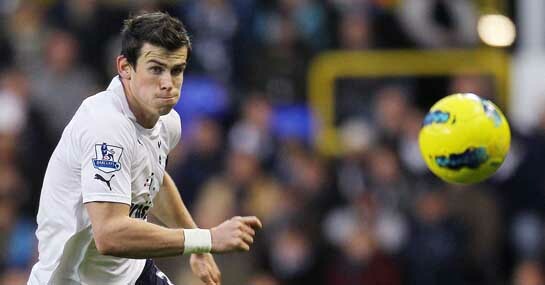 He should be much perkier this Sunday evening though as his side face Sunderland at White Hart Lane. Younes Kaboul is suspended for Spurs, while Roman Pavlyuchenko once again looks set to miss out through injury. Those are only minor issues for Spurs though and they look in great shape to give Martin O’Neill his first defeat as Sunderland boss. Sunderland may be the big 7/1 outsiders for this clash but they have a very decent record at White Hart Lane over recent years. The Black Cats have lost just one of their previous three outings there and managed to bag a point last season. They can be backed at 7/2 to get another draw this time out. However, this is a Spurs team who have been flying this season and – their rather unjust defeat at Stoke aside – have looked imperious and should be good at 2/5 to get their 11th win in 13 Premier League games. Despite scrapping around at the wrong end of the table, Sunderland have the fourth best defence in the Premier League and will be hard to break down. However, Spurs haven’t failed to score at home in the league since a goalless draw against West Ham back in March. With Spurs scoring at least two in each of their previous five home games and not conceding in their last two, a bet on the game to finish 2-0 to Spurs looks well worth consideration at 5/1. Finally, Emmanuel Adebayor has found the net three times in his last three appearances and is 3/1 to be the first goalscorer in this clash.